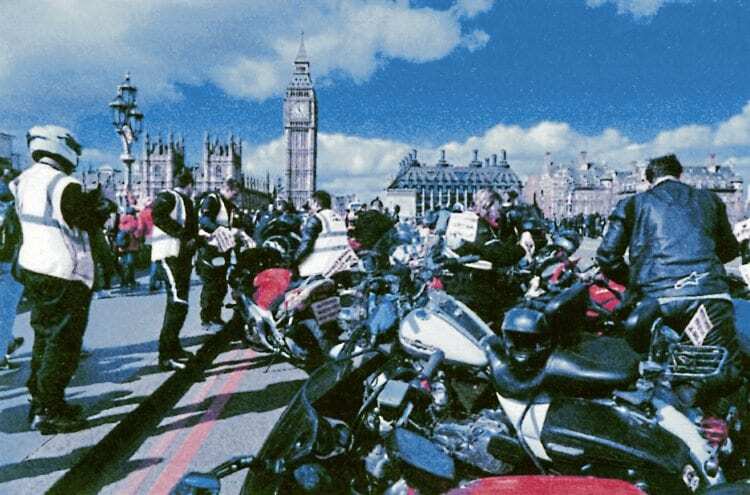 Hundreds of riders took to the streets of London on Saturday, April 1 when the UK Motorcycle Theft Protest (UKMTP) staged two rideouts, one starting at the Ace Café and the other at Greenwich Park, both travelling towards Parliament Square and Tower Bridge, to raise awareness of the increase in motorcycle thefts in the capital. Riders taking part in one of the UKMTP rideouts are seen on April 1. Supporting the runs, insurance broker Carole Nash revealed that those living in the south-east of England were at the highest risk of having their bikes stolen, with Greater London, Brighton and Southampton being the three main hotspots. Around 26,000 motorcycles are stolen each year, costing their owners, the industry and insurers an estimated £105 million, and to help deter such crimes Carole Nash provides its policyholders with a free ‘DNA+’ forensic kit that leaves a unique mark on the bike, making it easily detectable by the police. The kit also includes a warning sticker to help deter thieves.